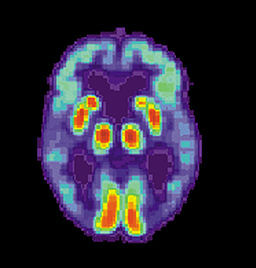 The new brain scan for Alzheimer's: what's early certainty worth? Last week the NY Times story on a new scan that identifies Alzheimer's in the brain caught my eye, and probably caught yours too. What is the benefit of this test, wondered my colleague Alex Smith in a recent Geripal post, and is it worth the cost? What is the value of "knowing for sure -- period"? What's causing this cognitive impairment? Is it dementia (of any stripe)? The new brain scan, obviously, doesn't answer many of these questions, nor does it directly lead to better dementia care for patients and families. So although usually I'm a less-is-more kind of clinician, I find myself conflicted about the scan. Would I order it? Maybe. What about the rest of you? I'm especially eager to hear thoughts from the other clincians who are diagnosing dementia in the outpatient setting.